Treatment Alternatives and her affiliate programs provide a truly serene, secure and safe environment. The climate and the environs help clients heal spiritually and physically and promote the work of recovery. 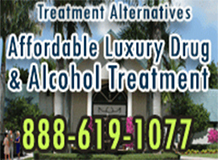 Every aspect of Treatment Alternatives approach assists clients desire to re-engage in life as sober human beings. For over 25 years, our combined experiences have been helping men and women break the bonds of addiction, regain their health and renew their lives. We take pride in providing a range of treatment programs including: outpatient (OP), intensive outpatient (IOP) and partial hospitalization programs (PHP) that are comprehensive. 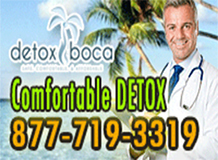 Located in beautiful Boca Raton and Delray Beach, FL our facilities are safe, secure, and serene. Just by stepping outside, the climate and the natural environment provide clients with healing qualities that positively impact the recovery process.